Why do comfortable armchairs and sofas always have to be so heavy? 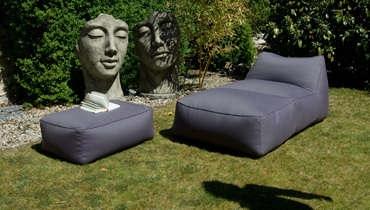 This was just one of the questions the Italian designers of the new MOONICH Lounge collection asked themselves. And they found a smart solution. 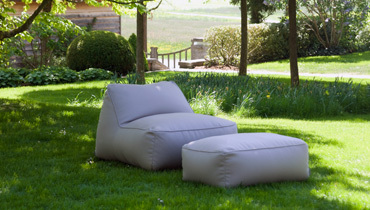 The Lounge armchairs and sofas from MOONICH are not just extremely soft but also ultra-light. 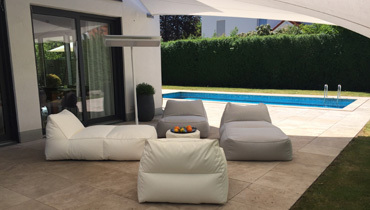 Even the largest 2-seater sofa with armrests weighs just 15 kg, the lightest model in fact just 2.8 kg, As a result, the Lounge furniture can be reorganised and moved around as the mood takes you. 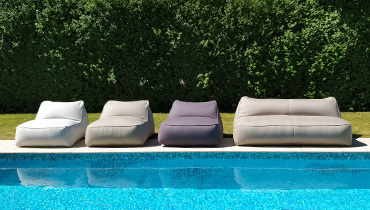 However, the lightness is just one feature of these armchairs and sofas: the furniture is also distinguished by its variety of colours and the fabrics used. 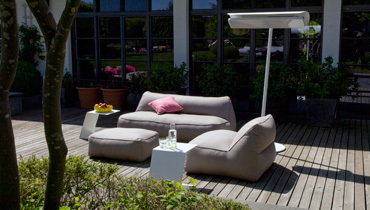 For example, only SUNBRELLA covers are used for the outdoor models. 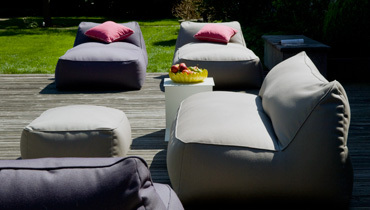 They are windproof and weatherproof and can be kept outside all year round. 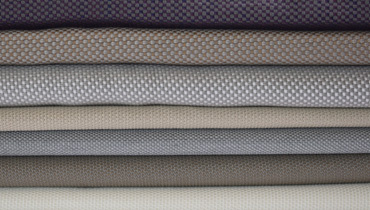 MOONICH Lounge uses the VivaVelvet fabrics for the indoor models, which are velvety soft, lightfast and colourfast. 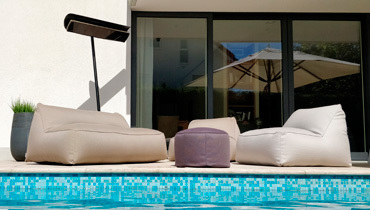 Another special feature of the Lounge armchairs and sofas is their filling. The furniture is filled with billions of microscopically small supple, dimensionally stable micro-polystyrol/polyethylene little balls. 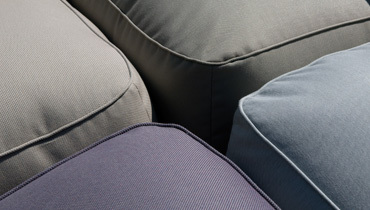 The huge advantage: the little balls adapt to the body shape resulting in your own personal seat shape after it’s been used for some time. And if the filling should give a bit too much after a while, it can simply be topped up. 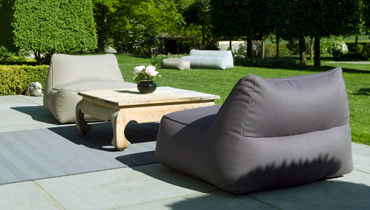 By the way, that’s just how the Lounge collection is made: elaborately by hand in a Northern Italian family-run company. Everything is brought together here: from the design to plans and selection of fabric, to sewing and filling – a great deal of heart and soul and personal dedication by the designers is invested in every stage of the work. 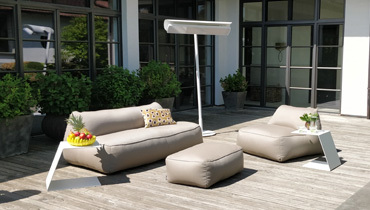 Weatherproof outdoor models can be used outside all year round.